Symphony No. 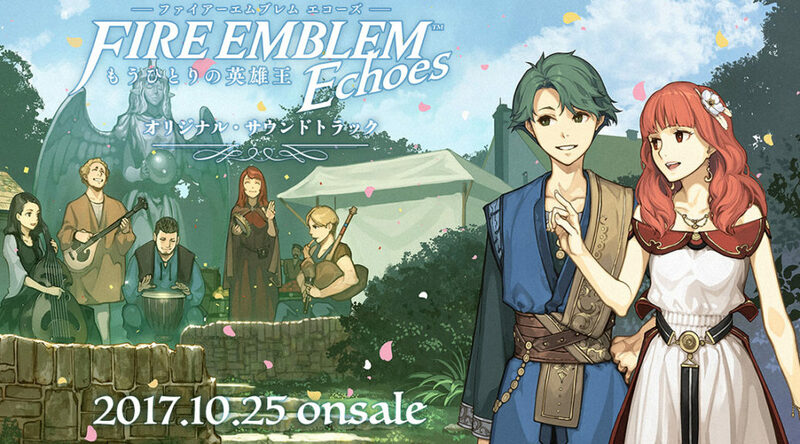 5 has just announced a brand new original soundtrack for Fire Emblem Echoes. It will release in Japan on October 25, 2017 for 5,300 yen. 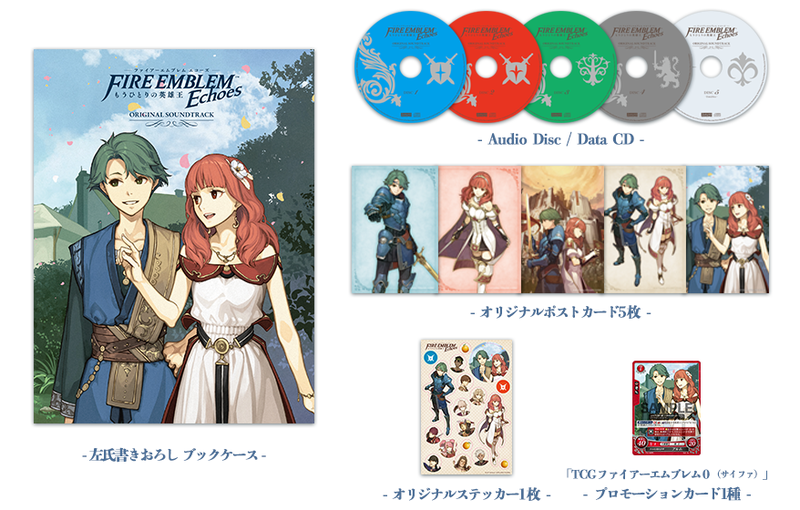 The soundtrack package comes with the following items: 5 audio/data CDs, 5 original post cards, book case, 1 original sticker, and 1 promotional Fire Emblem TCG Card that can only be obtained by purchasing the OST. The OST comes with 5 hours worth of Fire Emblem Echoes in-game music, which includes music from every piece of DLC released for the game, and music from every amiibo that is compatible with it. There are 4 audio discs which hold a combined total of 91 background music (BGM) tracks, while the sole data disc features 63 BGM in MP3 form (320kbps) as well as the in-game movies in HD. Otomart has started taking pre-orders for the OST, which is only eligible for domestic shipping within Japan. Check it out here. For those of you living outside Japan, you can grab the OST from Amazon Japan here (eligible for international shipping).